Arts-led hotel in a striking late Art Deco building, built in 1935 for The North Metropolitan Power & Electricity Company. 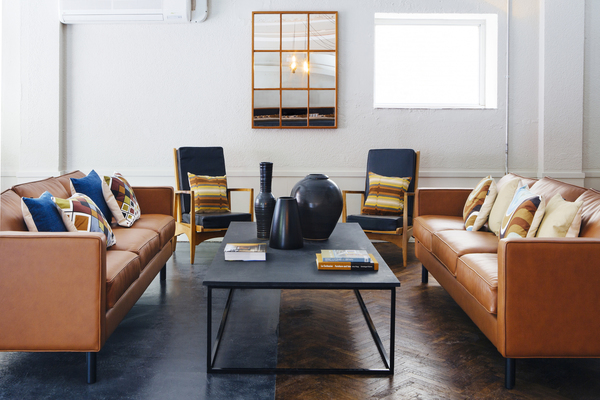 Clean modern lines contrast with original architectural features and authentic vintage British craft furniture. SODA was commissioned to develop designs for a unique arts-led social enterprise hotel on a prominent site in north London, converting Haringey Council’s former housing office in Wood Green, which was first built as a showroom and offices for Northmet (North Metropolitan Electric Power Supply Company) whose ornate stonework and cast bronze plaques survive on the building’s facade. Working with Nick Hartwright, one of London’s leading social entrepreneurs and a proponent of long-term, sustainable and holistic regeneration, the concept was to create an affordable and exciting space for creatives to use as a hotel whilst also giving back to the community. A public café, bar and restaurant space occupies the front half of the ground floor with shared sleeping accommodation to the rear and a new outdoor social space for hotel guests to share and enjoy. 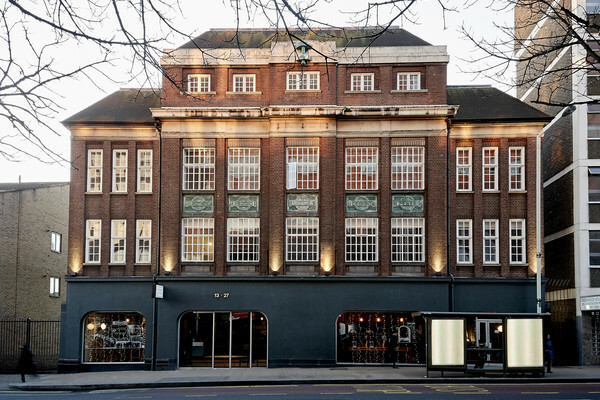 Levels one and two feature a mixture of twenty private bedrooms, whilst the third floor space has been retained and refurbished as an events and exhibition space. Located at the top of the building, this beautiful space has the original stained-glass rooflights restored and a bespoke bar installed to host a wide variety of functions. The overarching concept of Green Rooms has always been to work with the existing architecture of the building. Original details are being revealed, preserved and protected at all costs. These are being contrasted with all contemporary interventions, such as clean modern lines against rustic retained finishes; expressed copper services mounted alongside decaying ceiling features; and exposed brickwork adjacent to fragments of original marble. This hotel is nothing if not consistent with its material juxtapositions and bold design. Minimal detailing and a stripped-back aesthetic has been employed throughout the spaces giving a rustic and unpretentious atmosphere to the venue. 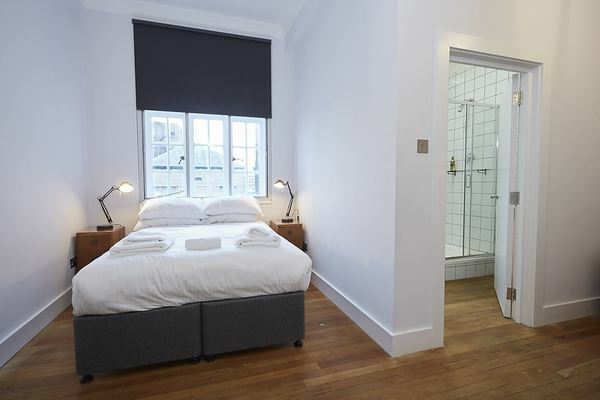 There are a number of spaces within the hotel that feature original mosaic tiling – the bathrooms on the first, second and third floors, plus a number of additional areas on the ground floor. 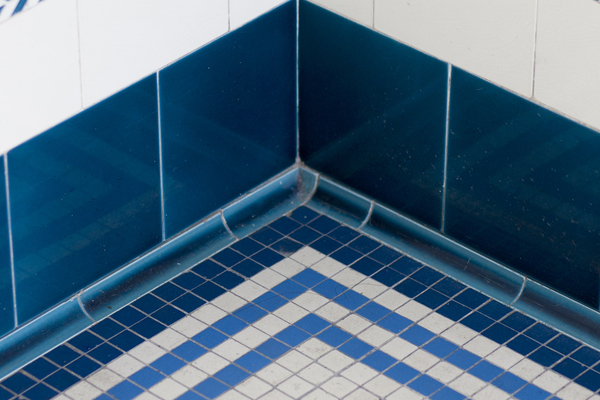 The blue duotone geometric border is beautifully offset against the softer scalloped tiling of the main floor. As well as retaining the original large windows, the building’s original industrial iron beam structure has been left exposed and worked into the overall design environment. The iron structure can be seen in various spaces at the back of the ground floor section, most notably in the Residents’ Lounge and two studio apartments towards the rear of the building. The stunning third floor has been retained and refurbished as a gallery and bar. 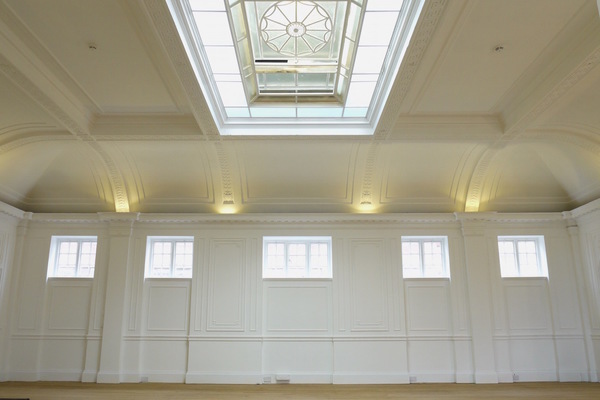 The imposing skylight was originally hidden away by a suspended ceiling and wasn’t uncovered until later summer 2015. Divided into three bays, the focus is on the central circular porthole which is finished in small, patterned Flemish glass. The key design theme is the mix of authentic vintage and contemporary British craft furniture to complement the late Art Deco building which houses the hotel. Green Rooms is the first hotel in the UK to feature 100 per cent British craft furniture manufacturing, and every piece that has been ordered or acquired tells a story of British artistry and craftsmanship. A serious collection of pre-war and post-war vintage furniture has been assembled, led by a number of original 1920s and 1930s Heal’s handmade oak pieces. Heal’s was the leading British designer and manufacturer of handmade wooden furniture in the early part of the 20th century. Two upstairs guestrooms feature vintage oak Heal’s pieces, whilst other rooms include a mix of post-war furniture designed by architects John & Sylvia Reid for Stag furniture, along with bespoke metal coat rails and metal bedside tables made by a local North London crafts firm. 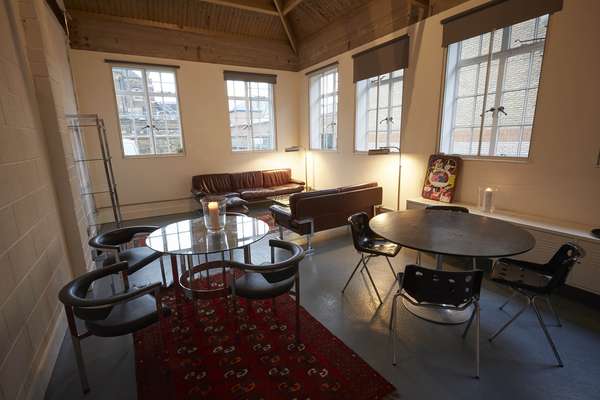 Other bedrooms and communal areas upstairs include a number of original vintage dressing tables and mirrors, chosen to build upon the arts and performance theme of the project and provide practical use for the largely theatrical-based clientele. The bedroom corridors on first and second floor include special pieces designed for Green Rooms by cult UK fashion and homewares brand FOLK and 1930s Heal’s oak bookcases holding a collection of vintage Penguin classic paperbacks. Penguin was founded in 1935 (the same year as the Green Rooms building was erected) by publishing entrepreneur Sir Allen Lane in an effort to bring quality affordable literature to the British public in the midst of the depression. Green Rooms’ lobby, bar and restaurant space, with its original plasterwork, beamed ceiling, and parquet oak floor are complemented by a collection of 1930s Heal’s oak pieces made by the firm’s early 20th century craftsmen in their Tottenham Court Road workshop. The star of the dining area is a seven-foot tall Heal’s oak cabinet with a matching oak & leather library table. The pieces were originally supplied as special order from Heal’s to a rectory in Kent in 1930. The antique cabinet displays the hotel’s collection of vintage polished aluminium Picquotware tea and coffee pots. The lounge area of the Lobby Bar showcases two custom-made leather sofas from Wycombe-based family firm Davison Highley. Created by Barry Davison in 1977, the sofas are the firm’s original ‘Classic’ design – one of the UK’s longest-lasting contemporary furniture design pieces. At the rear of the building is a second lounge for Green Rooms’ theatrical and other overnight guests. The residents’ lounge also features British furniture manufacturing, but with a somewhat more glamorous and contemporary theme built around the Worcester-based firm Pieff, whose original designs in chrome and leather were most sought after in the 1970s. A rare suite from Pieff’s famous ‘Mandarin’ collection has been acquired. It is so called because of the unique Chinese zigzagged chrome base that the sofas, chairs and tables rest upon. The lounge includes a chocolate leather and chrome suite of sofas complete with matching chrome and glass Mandarin coffee table and console table.